Shopping for executive Christmas gifts can be an extremely daunting task. While you want to purchase something that is impressive and unique, you also want to find a gift that enhances that busy executive’s lifestyle and interests/ hobbies, not a gift that reminds him of his line of work or stressful duties. 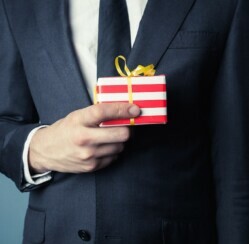 Although gifts like ties and generic gift boxes from the local department store are common choices when it comes to shopping for executives, they aren’t exactly gifts that have that wow factor you are looking for. Consistent with our promise to make your Christmas shopping experience fun and less stressful, ChristmasGifts.com has decided to put together a few unique ideas for executive Christmas gifts this holiday season. If you are ready to discover magnificent gifts for that busy exec, grab a nice refreshing glass of eggnog and a few of those snickerdoodles and let me show you what we found. 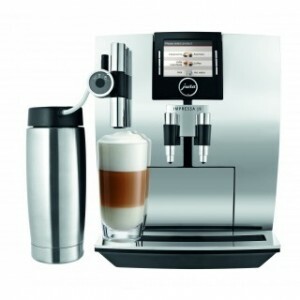 brings the magnificent flavor of your favorite coffee shop home. Some of the most flavorful Arabica coffee beans selected from around the world, the Illy Café coffee beans are certain to tantalize his taste buds. Rancilio Silva Espresso Machine V4: A leader in its class for more than eight years, this Rancilio Silva Espresso Machine V4 is the gold standard by which other home espresso/ cappuccino machines are judged. 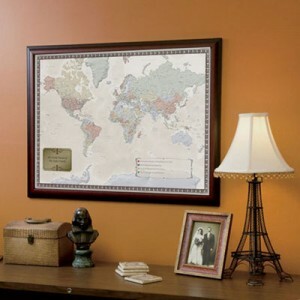 Personalized World Traveler’s Map: Complete with marking pins and flags, this Personalized World Traveler’s Map lets your busy executive pinpoint his favorite destinations and plan ahead for future trips. Jars of Notes: Now your favorite exec can take heartwarming messages with him so he can remember how you feel and read words of encouragement no matter where he roams. The Written Pieces Jar of Notes contains 31 personalized messages tucked inside tiny envelopes and placed in a beautifully decorated jar. 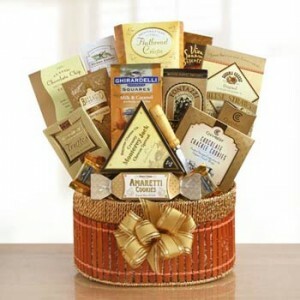 Corporate Gratitude Gift Basket: A gift basket filled with an abundance of his favorite gourmet treats, the Corporate Gratitude Gift Basket contains enough mouthwatering goodies to share with coworkers and business associates. Miami Beach Elegant Classic Holiday Gift Basket: A wide variety of custom made chocolate favorites, the Miami Beach Elegant Classic Holiday Gift Basket offers your recipient the unique flavor that is exclusive to Miami Beach Chocolates. Office Nut Gift Basket: A salty treat that can’t be beat, the Office Nut Gift Basket presents your favorite executive with a wonderful selection of nut varieties and other savory treats. What will you buy your favorite executive this Christmas?